I really enjoyed this audio-play right up to the last 5 or 10 minutes. That's where the final plot twist dooms this nice little story. We get safe and saccharine instead of uncomfortable and thoughtful. 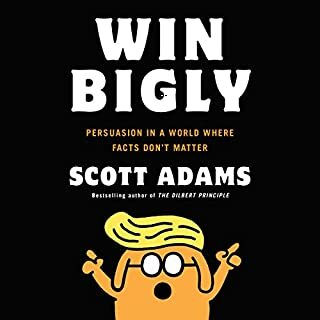 This is a little book that could have been really good. As it is, I struggled to get to the end. As the title of my review state, the premise just wears out. 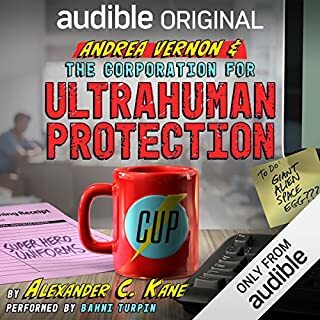 Fundamentally, this audio book lacks the imagination of Scalzi and the smart sarcasm of Hiaasen. On balance, I can not recommend spending a credit on it. Stephen King Does It Again and Holly's Back ! Stephen King really delivers with The Outsider. Although The Outsider is a stand alone novel, it pays tribute to King's earlier "Mr. Mercedes" trilogy, specifically with the return of Holly Gibney. 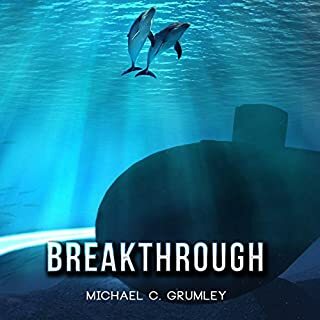 As strong as the story and characters are in The Outsider" this audio books succeeds equally on the brilliance of Will Patton's nuance'd narration. 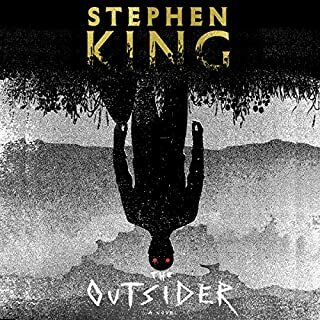 The Outsider is what a great audio book is all about! 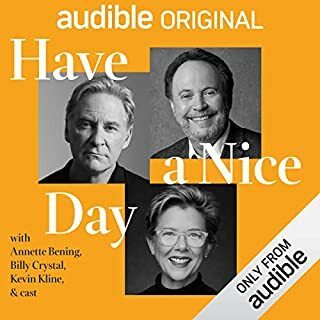 I really enjoyed this audio book. D D D has all the elements that I want in a "crime" audio book: believable characters and motives, a plausible story line, and strong narration. DDD gave me all of this and more. The "flash-back" approach used in the story telling was not at all gimmicky and really helped keep up the pace of the story telling. In addition, this might be RC Bray's best work since the Martian. This is one of those audio books that compels you to listen. 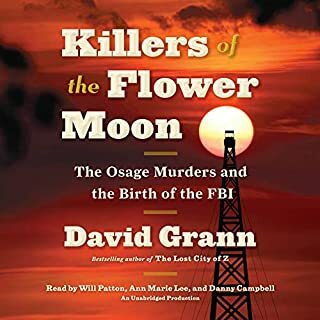 Killers of the Flower Moon is a very important story on several levels. Unfortunately, the first narrator sets a plodding pace and tone from which this audio book barely recovers. Will Patton delivers his usual stellar performance but the other narrators just don't deliver enough energy or interest. I could barely finish this audio book. If you've made it to book 14 of the Arisen series I don't need to dwell on the richly developed characters and RC Bray's superb narrations. 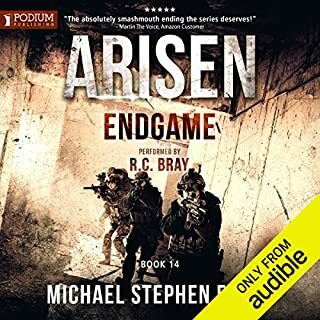 Book 14 follows a now familiar pattern of chaos and impending disaster averted by the sheer force of will of Alpha Team and the other heroes of Arisen. OK, good enough. It just seems to me that book 14 left me with just a little too much "feel good". I guess I just wanted a less practicability and a little more bite in the ending ;) This being said, Arisen is still the absolute Gold Standard in the ZA genre. The Best Police Procedural Series Ever ! 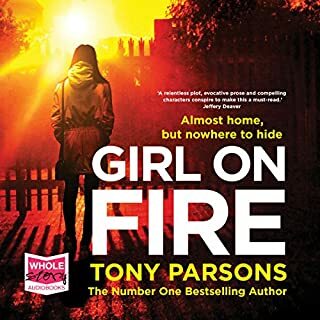 Tony Parsons' Max Wolfe books comprise the best "police procedural" series I have ever listened to. Over the course of the 5 Max Wolfe books Parsons brings to life a series of richly developed characters and totally credible plot lines. If you are interested in this series you really need to begin with Book 1 of this series ("The Murder Bag"). Here you will be introduced to men and women of London's West End Central's major crimes unit as well as DC Max Wolfe, his daughter Scout and their dog Stan. The story lines of this series are not gimmicky or contrived and the characters are human and complex. Though each book is a stand-alone work the listener would be well served to begin with book 1. Colin Mace brings these stories to life with an absolutely expert narration. Like the title of this review says, simply the best realistic police procedural series there is. Remember the old TV series "Lassie" where Lassie, the collie dog saves the day ? Bark bark..."what's that Lassie, Sally has fallen in the well"...Bark, bark..."OK...show me..."
Just substitute a plucky female scientist for young Timmy and add some morally suspect politicians instead and of evil ranchers and mix well. That's Breakthrough. Great promise wasted. Too bad. Fantastic Story and RC Bray's Best Performance !! 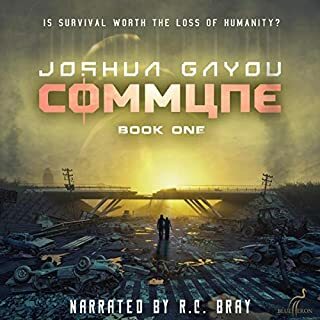 Commune is the very best audio book I have listened to in the past 12 months! 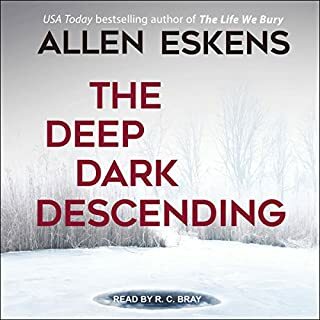 Every once and a while you hit the trifecta with an audio book: Great premise, fully realized characters, and a superb narration to power the audio book. Commune is one of those books. Absolutely the best and most realistic global cataclysm / SHTF stories I have come across- without the usual cliche like characters and sub-plots. Equally impressive is RC Bray's narration, which is easily the high-point of his work so far. The bar is set so high I don't know if I would even want a "Book Two" for fear of a let down. What Really Happened in the 2016 Election ! A brilliant look at persuasion in the context of the 2016 US presidential election. This really is what happened.